As of this past weekend, Summer is unofficially over—and it definitely feels like a change of seasons in the air! The mornings are cool and cloudy, and the afternoons are punctuated by the honking of geese on their flight south. 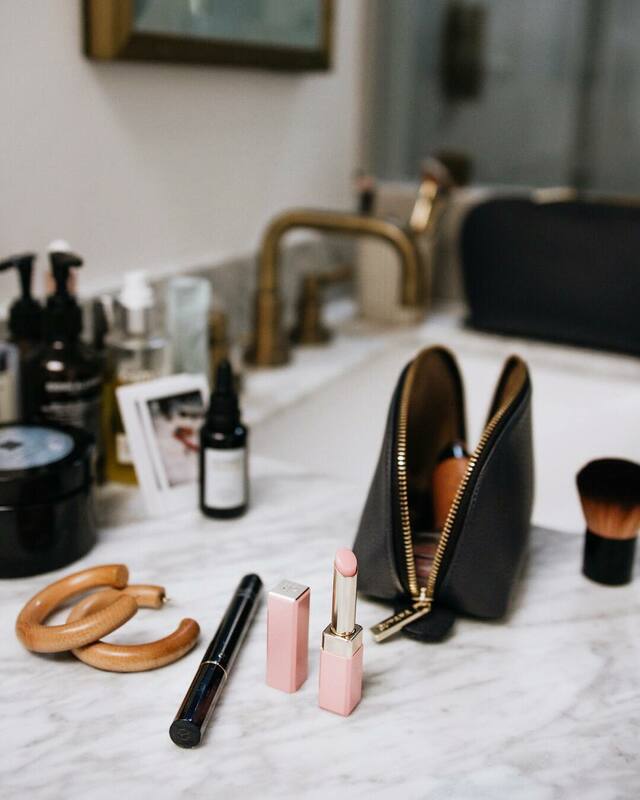 While I’m sure that we’ll see at least one more heat wave here in LA, I’m pretending that Fall is here in earnest and implementing a transitional beauty routine! 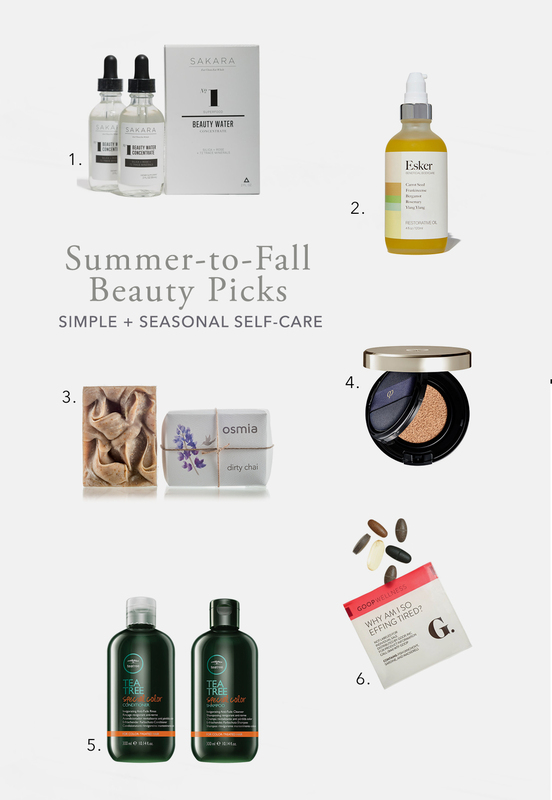 Between the heat and the pollution, Summer is definitely my skin’s most confused time of year, so I’m hopeful that Fall brings an end to my congested pores and flaky redness. To help things along, I’m doing my best to stick to a simple, pampering routine that supports my body’s own healing powers. Here’s a few faves I’ve recently incorporated into my lineup! 1. Outer beauty begins on the inside! Supercharge your water with Sakara Beauty Water drops, which contain trace minerals to balance pH, rose to calm and reduce puffiness, and silica to promote collagen production. Plus if you’re one of those people who hates the taste of plain water (my BFF can’t stand it!) these drops add a delicate floral flavor to encourage you to get your daily H2o! 2. Esker is a new-ish body care brand founded by an LA-based trend-researcher-turned-natural-beauty-authority. The line is comprised of three body oils and three body washes that put the power of pure botanicals to work. The essential oil blends, which are formulated to clarify, firm, or restore skin, are free of nasties like parabens—and their dreamy scents turn your morning shower into a spa escape. 3. Osmia Organics is one of my top ultra-clean beauty brands, and their limited-release Dirty Chai Soap is everything you want in an indulgent fall treat, without the sugar high! It features ground coffee to exfoliate, kaolin clay to purify, and essential oils of cardamom and clove to soothe frazzled nerves. These soaps are only around for a few months, so be sure to stock up on a few bars before they’re gone! 4. Considering the fact that our skin has as much contact with foundation as it does with any skincare we use, I’m always surprised that more attention isn’t given foundations that nourish and heal, as well as camouflage. Cle de Peau’s complexion products are part makeup, part miracle, with hydrating and conditioning properties that leave skin looking better and better the more you use them. The newly released Radiant Cushion Foundation provides buildable sheer-to-medium coverage and is perfect for on-the-go touchups, which is ideal since Fall and Holiday are the on-the-go-est time of year! 5. By the end of the summer, the sun’s rays can leave hair looking less beachy and more blasted. Paul Mitchell’s Tea Tree Special Color collection builds on the appeal of the brand’s original Special Tea Tree line (that scalp tingle! that zingy scent! that lustrous shine) by adding protective botanicals that prevent fading. I keep the shampoo and conditioner in my yoga bag for after a sweaty stretch session; the peppermint and lavender scent is the perfect complement to my zen, post-class mood. 6. Aside from diet, stress has the biggest impact on the appearance of skin and hair (and let’s be real, stress affects diet more than anything else)! Goop’s Why Am I So Effing Tired is a supplement regimen designed to give stress a one-two punch to the door, and in the week that I’ve been taking it I definitely have noticed an increase in my mood and my resilience to stress. 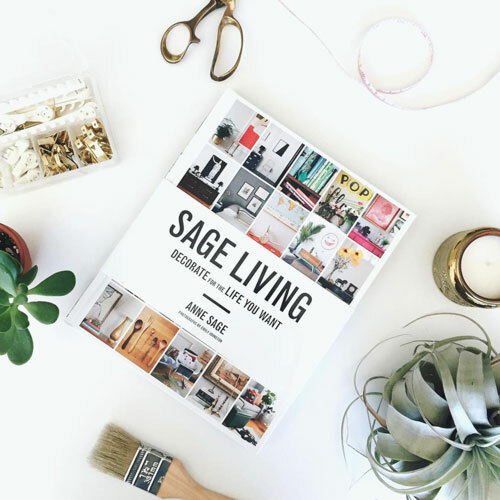 When I’m feeling good, I’m more likely to engage in behaviors (like self-care) that keep me that way, creating a positive feedback loop that results in a happy glow from the inside out. Plus who doesn’t want to get a jump on Daylight Savings Time?